They’ve already built the Obama Presidential Library..
← The IRS Sent My Tax Return Back! Sort of small you say? It’s very roomy inside I’m told and has just enough room on the walls (if you write very small) to list MOST if not all of his LIES! 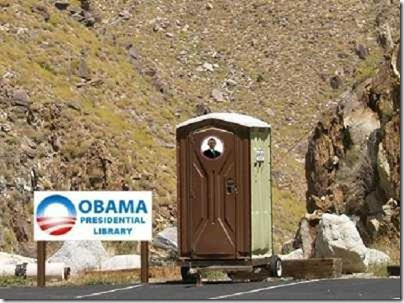 Isn’t that what Obama’s LIEbrary should be? Don’t tell me it doesn’t fit perfectly. a black man, a communist and a muslim go to a bar…………….